Since the release of her first international single ‘One Night’, miss Sabina Marie has been on quite a roll. The German singer has been racking up numerous collaborations with artists from Mexico to as far as Africa, and shows no signs of stopping. Her most recent release is a track titled ‘My Love’, produced by ID Beatz, has already gotten radio play in Australia, and hasn’t even hit the streaming/download market yet. Check it out below. And for some more of the work she’s been doing, make sure to keep up with her on Soundcloud. DJ Storm Reviews ‘Fables’ by Manni Phantom. Up until now November 7th was just a date in the eleventh month of our year, but as of now, it represents one of the most unique EP releases by an independent artist in recent memory. Manni Phantom’s latest drop ‘Fables’ is a short, but dense collection of stories, interludes, and unforgettable beats that will catch the ear of any type of music lover. From the first track in the 6 song collection, “Dead Man Walking” starts off strong. The track boasts a bass-heavy beat, composed of classic piano’s and strings, but drizzled with extremely digital vocal harmonics that create a great foundation to support the heavy lyrical content that starts off this EP. ‘Dead Man Walking’ is rife with complex flow and true feelings about the start of a career in music. “My daily routine is chasin’ a dream/ sellin’ beat for the same price as an eighth of some weed.“… “I swear its so close I can taste it now/ and everybody want the dream, but nobody wanna chase it down/ and that’s where I excel on everyone/ because investing in yourself costs less than having fun.” With such a dynamic lyrical output, you can hear the emotions that were meant to come through on every song. The second track, titled the same as the EP, Fables, reflects more on the feelings of affection towards a particular, unnamed woman. The lyrical prowess of the song falls in line with the high standard of the rest of the collect, yet what’s exceedingly special about this track is the genre it falls into. Some albums by hall of fame artists morph between genres as the project continues, the song ‘Fables’ does this all in 4 minute and 35 seconds. In one song, Hip Hop, Electronic, Dub Step, R&B, Classical, Alternative, and New Wave inspirations can clearly be heard, without the song turning into a car-crash of different ideas. The mellifluous transition between musical styles sets the track “Fables” into a bracket of its own. Next on the list is ‘Cursed/33 Percent’. The first of this divided song, ‘Cursed’ lyrically touches on a variety of different subjects, from the obsessions people have with money (As expressed by the chant “Cursed by a dollar bill”), to the perceived view of people starting in the entertainment industry. “Tell me your passion, it better not be rappin’/girl why can’t you be in college or somethin?/ every female I meet is like a model or somthin’/ it’s crazy, addicted to the bottle or somethin’, like that/ addicted to game, or addicted to fame/ roll it up, spark it up, she’s addicted to flame./ cursed by her own poison self inflicting the pain/ cursed by a f*ckin dollar, aint no cents in her brain.” After a swift, but fluid change, one song becomes the next, and ’33 Percent’ begins. Opening with a quote from Brett Sweeny of BRE and Team ISO, the song ’33 Percent’ is a mellow, Hip Hop based, well presented breakdown of what makes Manni Phantom a great artist. “33 percent strugle, 33 percent hustle, 33 changed, 1 percent stayed the same, I ain’t frontin, so I keep it 100 percent.” The beat remains relatively in one place, and allows the views, and opinions to be expressed without being drowned out by production, and once again the lyrical content is light years above the gambit of unsigned artists in the Bay Area, which makes both ‘Cursed’ and ’33 Percent’ stand out. The interlude ‘The Camera’ (a short, simple, opinion on what can happen on the other side of the camera) slides perfectly into the next track in the collection, ‘Presence’. Pieces of ‘Presence’ are quite reminiscent of the Timbaland and Magoo days, sprinkled with a generous amount of Kanye West, which makes for some very happy listening. The complexity of the beat once it gets going is enough to keep any listener engaged. As the beat marches on, Manni has a mellifluous way of flowing over the beat in different pitches that reflect the tone and gravity of the lyrics he’s presenting. It’s this style of presentation that makes ‘Presence’ the most radio-ready song of the collection. ‘Presence’ is ahead of it’s time, but it the song best apt to draw new listeners into the entire ‘Fables’ project. The final track on this 6 song EP, is ‘Ghost Stories’. ‘Ghost Stories’ breaks the mold that hold the previous 5 songs together, without sounding too abstract to be on the project. The sound, emotion, composition, and delivery on ‘Ghost Stories’ is unique in its own right, yet shows more of the diversity Manni Phantom is capable of as an artist and a producer. Although having a minor key, and a slight darkness in it’s undertones, ‘Ghost Stories’ presents some of the most playful lyrics on the project, “…know some homies that ain’t make it, that’s ghost stories (for real)/ and that’s real talk, no fib, no fable, no toy story.” But ‘Ghost Stories’ is the final act in what is a very well rounded, unique sounding project that is worth the listen from fans of any style of music. In conclusion, ‘Fables’ is a perfect example of how not everything that people listen to on repeat has to be something they heard in the club. The project has a definitive hand in making the point that “dope” music doesn’t just consist of a 4 note loop over 808’s placed way too high in the mix. ‘Fables’ is produced, and performed (which entails rapping and singing) by the same person, (which is extremely rare these days), which most emerging artists could never fathom. The engineering is not too simple, nor is it too gaudy, which provides the right sound for both the beats and the lyrics, (another factor many a developing artist is lacking now a days.) 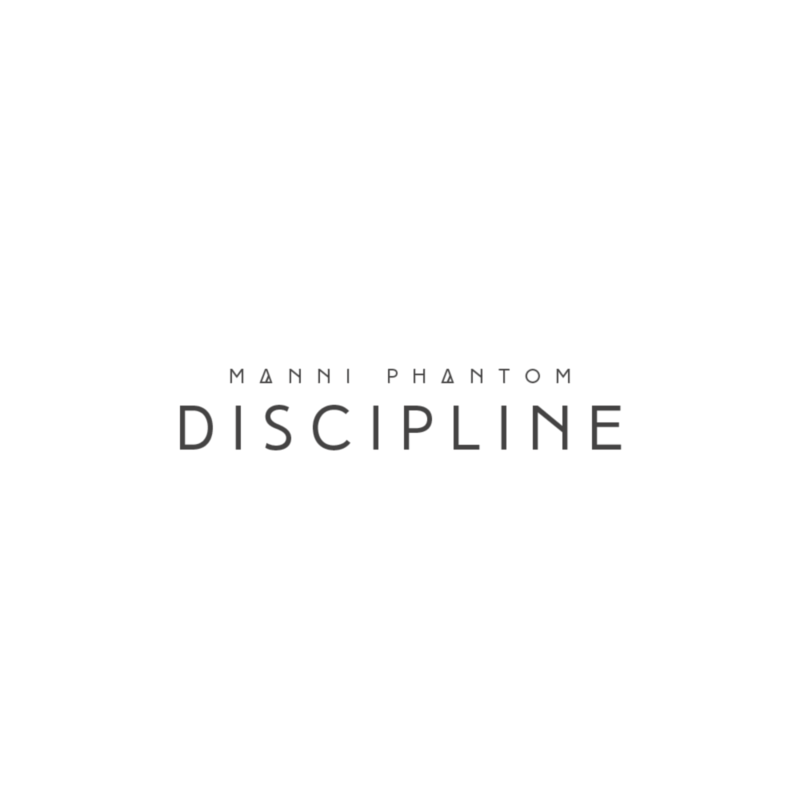 And over all, one of Manni Phantom’s strong points is finesse, his ability to go crazy with production, but knowing when to do so, and when to keep it simple. Everything all said and done, the only two points left to make are that, ‘Fables’ is for sure worth the listen, and as Manni Phantom stated himself… ‘The competition’s better dead.’ Click any of the photos to take a listen. Manni Phantom – November 7th. Check out the newest release from Manni Phantom, ‘November 7th’. 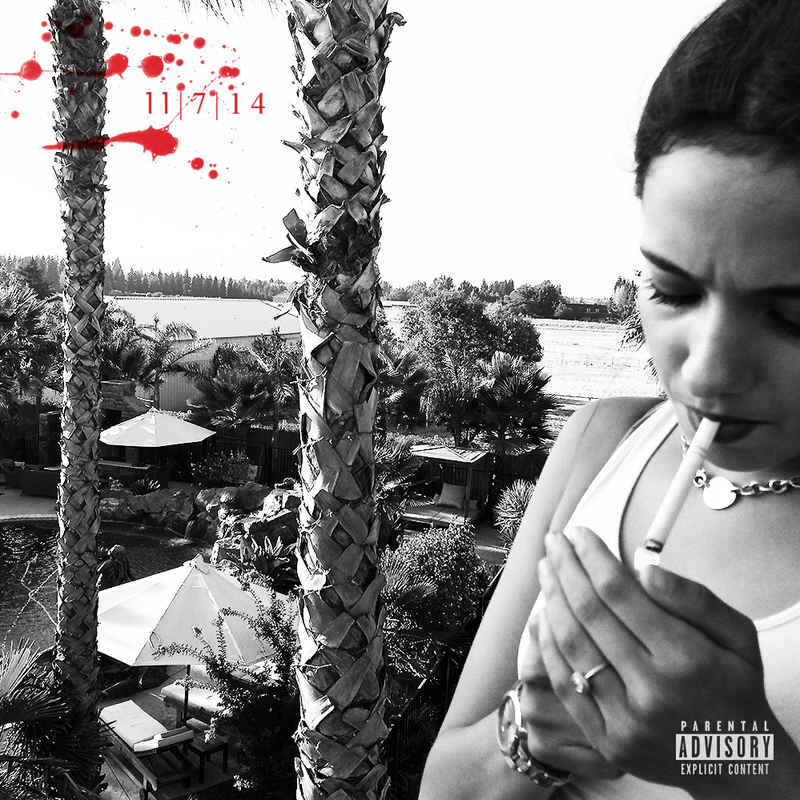 With a unique back and forth between falsetto and chest, and singing to spitting, the track is a fluid work of musical mastery, and just another addition to Manni’s ever growing body of work. Check the method below. 19 year old master producer, writer, singer, engineer, emcee, and cool haircut guy, Manni Phantom has hit the web with yet another display of his talents. The track ‘Discipline’ dropped yesterday to what are sure to be rave reviews. The solemn, yet sultry song, touches on the topic of getting caught up in lies and the lessons learned afterwards. Take a listen below, and make sure to look out for any releases Manni Phantom has in the future. Check the method. 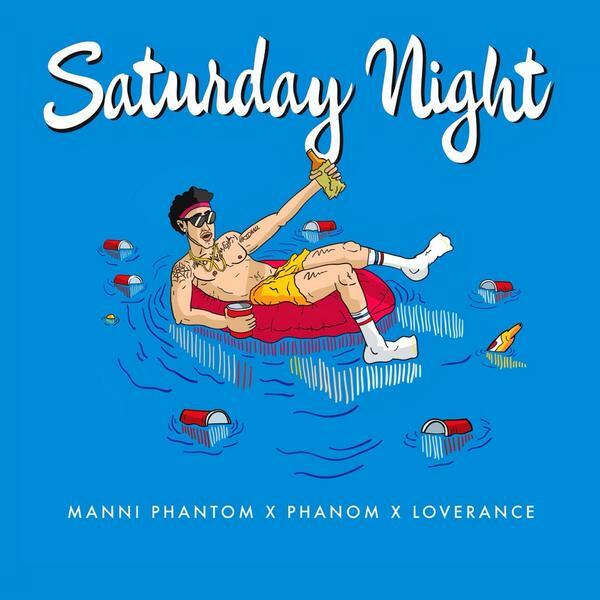 Manni Phantom, Love Rance & Phantom Da Don – Saturday Night. Working with musicians all around the world is only fulfilling when you get to work with music that you like. It’s a blessing to have friends that put out great music, that you’re a fan of not just because you’re friends, but because the quality of the music stands apart from the crowd. Team ISO’s Phanom Da Don, Love Rance, and Manni Phantom have just released a single titled “Saturday Night” that is sure to be on repeat for many moons on a lot of peoples music players. Be sure to download it from the SoundCloud link below. Check the method below.